Posted on August 28, 2015 at 2:50 am. G’day Casino has just launched a new collection of Net Entertainment live dealer games and we couldn’t be more thrilled. Not only is there a great selection of table game variants to choose from, but these games are amongst some of the most sophisticated live dealer games we’ve seen, with crystal clear video feeds, elegant casino settings and friendly croupiers. Better yet, the live dealer titles are available for both desktop and mobile users, so if you have a decent Internet connection on your smartphone or tablet then you can play these live dealer games at GDayCasino.com on the go, bringing the atmosphere of gambling in a real casino to you anywhere you please. Another stand out feature of the new G’day live dealer collection is that unlike other casinos which only offer live dealer games for real money play, players can sample these live dealer titles for free in demo mode. This is something we’ve never seen offered before and it’s a great way for newbies to live dealer gaming to sign in and have a look what it’s all about without having to commit to any real bets. We’re not sure if this is a temporary offer to give players the chance to test out the new games or if free play will always be available, but don’t take your chances, head on over and try these live dealer games at G’day Casino today. Not sure what live dealer gaming is? 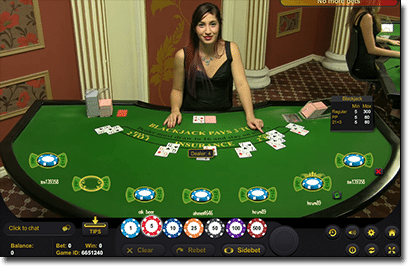 These are casino games that are hosted by real human croupiers from land based casino studios and streamed in real time using high-def video cameras. You can place bets, chat with other players and watch the results unfold before your eyes just as you would in a real life casino, but without having to leave the house. Live dealer games use cutting edge technology to recreate the ambience of casino gambling and have become hugely popular with online punters. If you’re not a registered player at G’day Casino yet, these guys have one of the best welcome packages going around. First, just for signing up you’ll receive 50 free spins on the cool South Park Reel Chaos pokies game, with no deposit required. Move on to make your first real money deposit and you’ll not only get an unlimited 100% matched deposit bonus but best of all, a free slab of beer will be delivered to your doorstep. What if I can’t sign up at G’Day? If you are from a country that cannot sign up to G’day Casino due to regional restrictions, you will be happy to know there are dozens of other top-rated and reviewed online casino sites where you can enjoy the latest live dealer gaming. If you’re visiting us from United States, our #1 choice is Bovada Casino, which offers an awesome welcome package that grants you additional bonuses upon your first few deposits to kickstart your account.